As an Owner Corporation Committee member are you treating your position as a corporate board member would? Owner Corporation Committee governance is often misunderstood and unfortunately, not taken seriously enough. This video is one of a series where I sit down and talk owners corporation committees with Dr Nicole Johnston of Deakin University. In the series we chat about Committee Governance, Fiduciary Duty, Policy Making and Committee training. 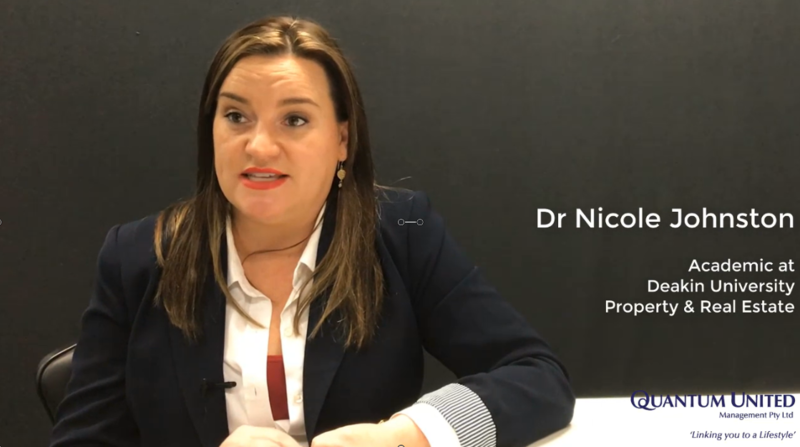 In this short video I talk with Dr Nicole Johnston of Deakin University about Committee governance. Does it stimulate thoughts in your mind about what you believe committee governance is? Do you believe Committee members should treat their position as a Board member of a company? Owners Corporation Management and Consulting specialists in owners corporations within large scale residential communities. Michael Darby: I just want to touch on governance in relation to Owners’ corporations, what is governance within Owners’ corporations, just to provide some clarity for committee members, you know, what is governance and what’s their roles and what’s the managers role? Dr Nicole Johnston: Yes. So, this is an area that is really misunderstood by a lot of people in relation to Owners’ corporations. So, an Owners’ corporation is a corporate form, it is very similar to a company in a lot of respects and a lot of people will make arguments about whether it’s the fourth tier of government that it’s like, you know, we’ve got the federal government, the state and local council and then, this is sort of like an Owners’ corporation in development is sort of like a mini council and it certainly does have certain aspects that are similar to that sort of structure. But when you look at the legislation which really provides and regulates this particular area, it’s very clear in every stage that it is a corporate form, that’s what the Owners’ corporations are, they’re a corporate form, that’s very much similar to a company. Now, like any sort of company, you have two arms; you have a governance structure and you have a management structure. And this is where it gets confusing because the legislation doesn’t talk in these terms and so, the legislation in most states talks about management and it fails to talk about governance. However, they are two separate things and I’ll talk a little bit more generally in a moment about how the legislation works in relation to governance, but the Owners’ cooperation and the committee are the governance arm of an Owners’ corporation. They are responsible for making strategic decisions in relation to how the development is to work; they are the governors of the Owners’ corporation, of that scheme. The management, if they’ve got managers involved in the development, that is the operational side, I suppose, of the scheme. So, the committee in the Owners’ corporations, as the governor, make those decisions and the managers implement those decisions. It’s a hierarchy curve relationship and it starts with governance at the top and management below that. So, that’s the relationship in relation to Owners’ corporations, just like in companies. Now, the legislation, even though it doesn’t talk about governance, the legislation itself provides a governance framework. So, committees need to be, and the Owners’ corporation need to be aware of what the legislation provides in relation to their role as governors. So, in most legislation in this area, it’s fairly well structured, even though there are some complexities in certainly about some things that need to be interpreted carefully, but it does give that framework. You know, a simple thing would be how to run meetings, what are the requirements in running a meeting, all those sorts of things a committee needs to make decisions about; when to hold those sorts of meetings and whether they want a manager who they want to manage their development, the governance decisions, that’s their role and responsibility in this environment. It’s then up to others to implement those decisions, if they’ve decided to engage a Manager to perform those particular tasks.